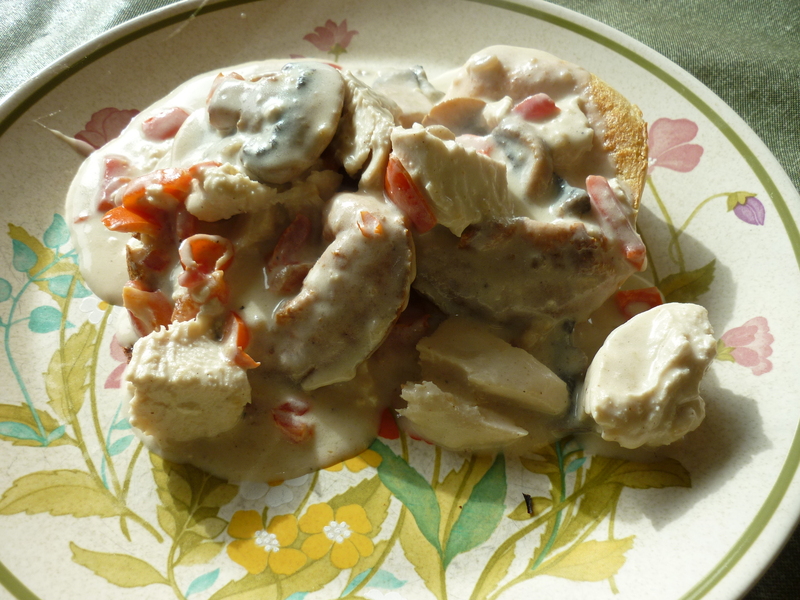 There are many ways to make Chicken a la King. This way is my favorite. It is based upon the recipe in Betty Crocker’s Cookbook (Golden Press 1972). In a pinch, you could use leftover chicken or turkey and canned broth. You could also use canned mushrooms. My way has better flavor. Served over popovers makes it fun. I will post the popover recipe as well. 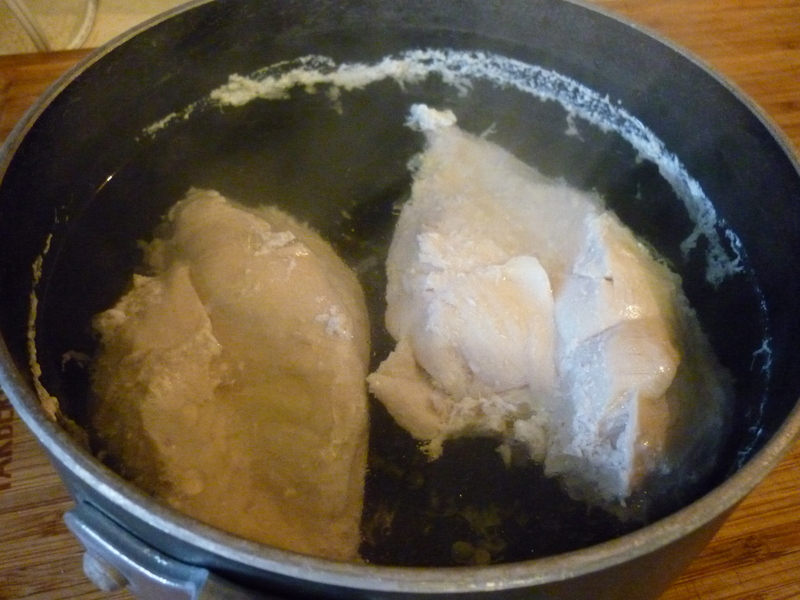 Add water, at least two cups, to cover chicken in medium pan and simmer until chicken is cooked. 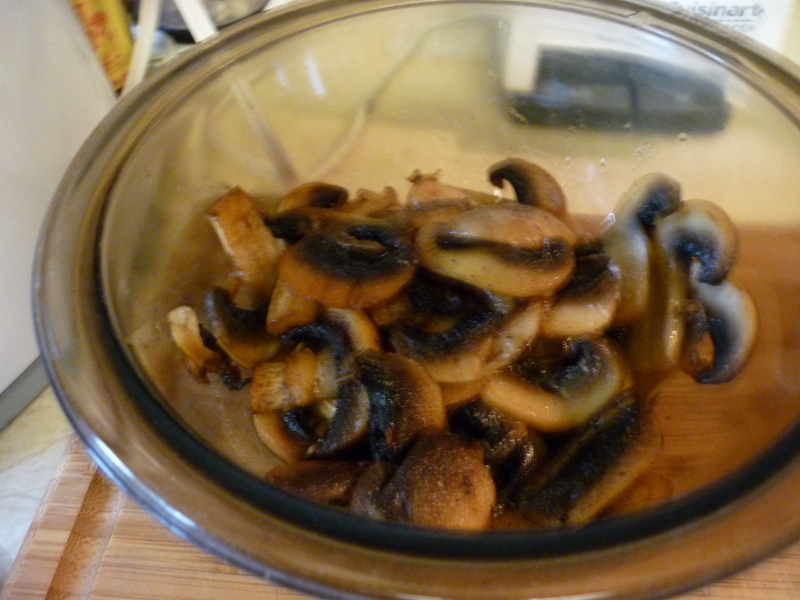 In the meantime, melt butter and sauté mushrooms in batches until nicely browned. Set aside mushrooms. 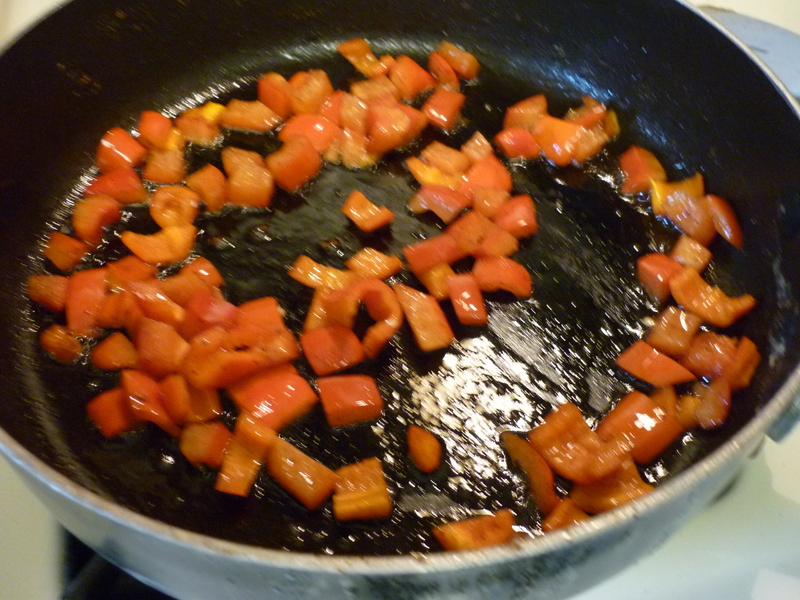 Saute bell pepper in the butter (don’t use more than 1/2 cup butter total while cooking this dish). 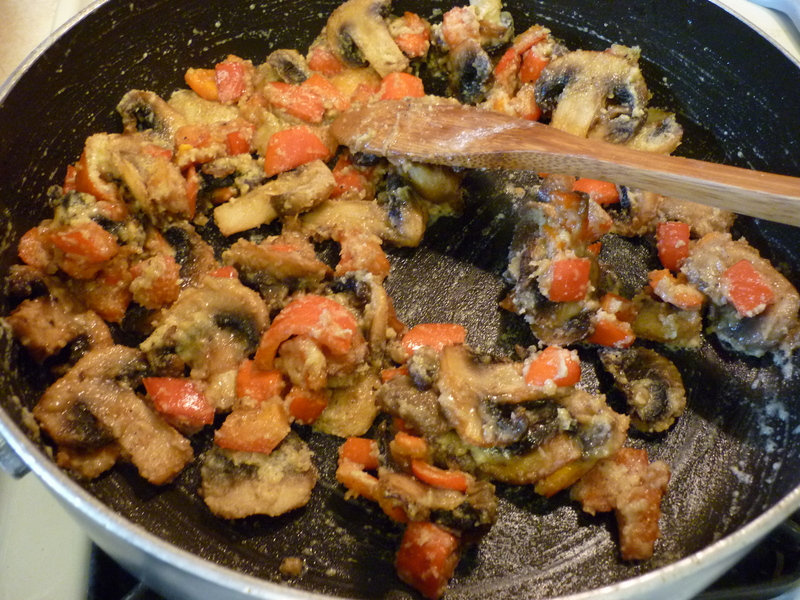 Add mushrooms to bell pepper and sprinkle with 1/2 cup flour, salt, pepper. Stir, over low heat, until flour is absorbed by melted butter and coats vegetables. Remove from heat. Remove chicken from water and save the water which is now chicken broth. 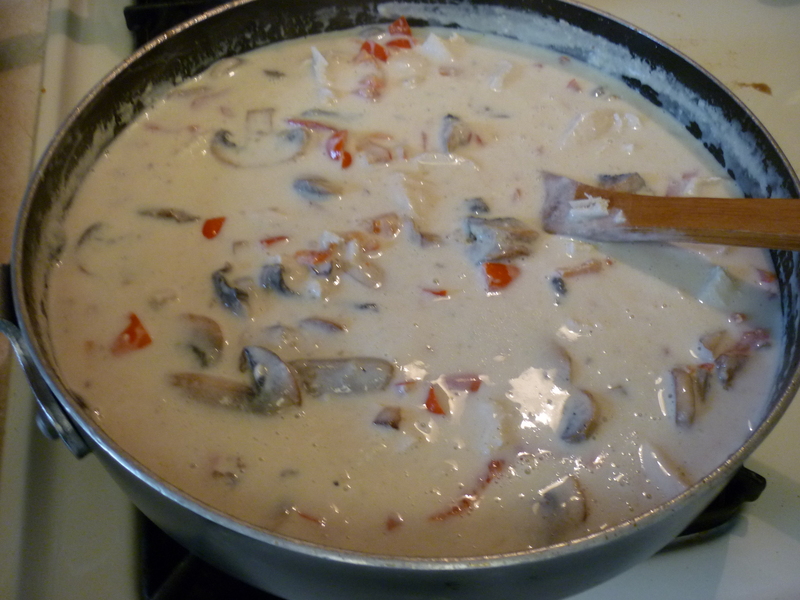 Into the mushroom, bell pepper, flour mixture, stir in 2 cups cream and 2 cups reserved broth. Heat to boiling, stirring constantly. Boil and stir one minute. Shred or dice chicken. Stir chicken and 4-oz. pimientos into cream sauce. Heat through. 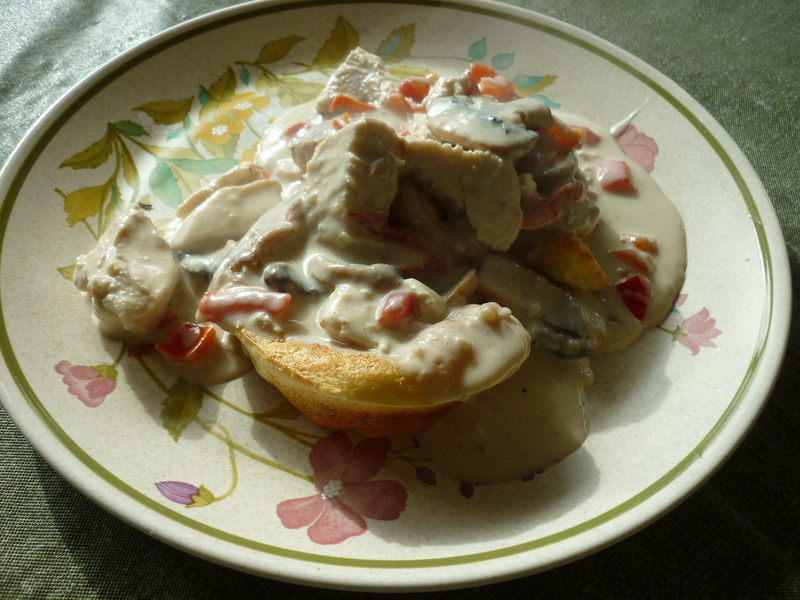 Serve hot over rice, toast cups, or popovers. Serves 4-6 people.